Getting a notice from the IRS can be intimidating. You may receive a letter that the IRS thinks you failed to report income or that you erroneously claimed a deduction and that you owe more tax than you paid. You may panic, thinking that you’re up against huge penalties. Some people just pay the amount owed, and some people ignore the notice entirely, which invites more problems. Some people try to handle the situation, but botch it, thereby inciting more penalties. The first thing you are likely to get in the mail is a simple notice from the IRS that they have identified a discrepancy on your tax return or have questions about certain items on your return. The notice will likely ask you to sign the form and mail it back if you agree that the mistake was made. However, you can’t just fail to respond to the notice if you don’t agree with it. You need to actually respond with a letter explaining why the IRS is wrong and including supporting documentation if necessary. If you don’t respond to the initial notice, you will likely receive an examination report, which tax professionals often call a “30-day letter.” This notice requires pretty much the same response as the initial notice, but it puts a time limit on it. You have to respond to the examination report with a “protest,” which is the technical term for a letter disputing the charges and providing documentation. Make a copy of your protest before you mail it, and send it through certified mail so that you have evidence of when you mailed it. After you send your protest, the IRS may not be swayed by your argument or your evidence. In that case, the matter will be sent to the IRS Appeals Office. If you have not sought help from a tax lawyer at this point, you should now. Your lawyer can represent you in the appeal and help you put the matter to rest. Otherwise, your case may likely continue to escalate. Also known as the “90-day letter,” the Notice of Deficiency will arrive through certified mail if your fail to win your case through the appeals office or do not file a protest. You have 90 days to respond to this letter, and the only response permitted is to file a petition in the U.S. Tax Court clerk’s office in Washington, D.C. The judges for this court travel, so you do not necessarily have to go to Washington, D.C. to dispute your case. You may be able to have the case heard right here in Phoenix, Arizona. If your case involves less than $50,000 in dispute for any calendar year, there are simple procedures in which you can represent yourself at Tax Court. However, in most cases, it is best to work with an experienced tax lawyer who can advise you of your rights and help you understand the tax laws in question. Your lawyer can also ask to have the case transferred to the appeals office if you did not take the case to appeals through the filing of a protest. If you miss the 90-day deadline, the court cannot hear your case and the matter will escalate. For other notices, you can typically ask for an extension for your response, but not for the Notice of Deficiency. If you miss the deadline for the Notice of Deficiency or the judgment did not go your way, you can contest your case in the U.S. Claims Court or federal district court. By this point, you will have to pay what the IRS says you owe. Going to court will only get you a refund if the judge rules in your favor. When you are dealing with the IRS, it is always best to get professional help. Any missteps can cost you significantly, both in terms of the money you will have to pay and the potential penalties, which can include jail time if the matter escalates to a criminal matter. 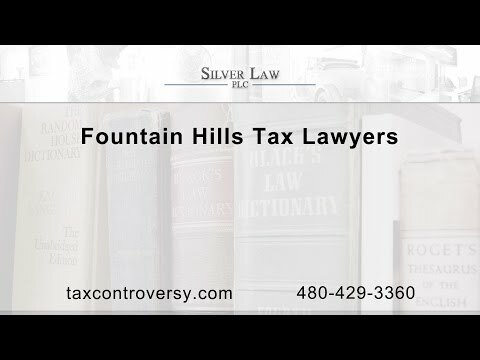 Silver Law PLC offers IRS help for all types of cases, including audit representation, tax litigation, appeals, collections, and innocent spouse relief. An experienced tax lawyer from our team can help you understand your options and help you put together the right information to appeal the IRS findings against you. In doing so, we do everything we can to minimize the fines and penalties against you. Call us today to talk with a tax lawyer about your case.